An Eden Hazard ’employee’ has reportedly told Spanish sources about why a transfer from Chelsea to Real Madrid did not happen this year. Despite plenty of speculation involving the Belgium international and a move to the Bernabeu, it now looks highly unlikely that this deal will be happening after the closing of the Premier League transfer window earlier this month. Spanish clubs can still sign players until the end of August, but with Chelsea now unable to bring in a replacement until January, it would be a suicidal move to sell Hazard to Madrid in the next few days. According to El Pais, Real were in contact with Hazard to explain their reasoning for not pushing through with a move for him this summer, and it’s an intriguing one. 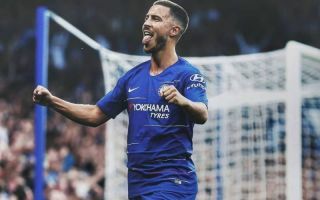 The Hazard source quoted in the piece says Los Blancos did not want to ‘mess’ with Chelsea, signalling a certain level of respect towards the Blues, who have always been strong in the transfer market. It’s very rare for CFC to lose their star players, with Thibaut Courtois’ move, also to Madrid, this summer a notable exception. Who's the best attacker in the Premier League? It seems that after signing Courtois, Real were perhaps keen not to strain relations with the west Londoners by snapping up another star, though El Pais also add that he isn’t necessarily a priority of club president Florentino Perez. Still, Real could do with a big-name signing in attack soon after selling Cristiano Ronaldo to Juventus this summer.